A vineyard near Waipara, in North Canterbury, New Zealand, in early morning sunlight. Sustainability is in the heritage, history and tradition of life in New Zealand. Earlier this month, I had the opportunity to travel to all of the major wine growing regions of New Zealand and visit with many sustainable producers. The original settlers of New Zealand, the Maori, learned that in order to thrive on a remote island nation, they needed to take care of their limited resources, and use them wisely. The Maori people believed that while humans were welcome to make use of the natural resources around them, they had to do so respectfully, as they were responsible for their local environment. Inextricably linked to their culture and a tradition of kaitiakitanga – guardianship of the nation’s natural resources. Today, over 1/3 of the country’s land is protected by the government, and over 70% of the electricity is generated from renewable resources. Their goal is to raise sustainable electricity to 90% by 2025.’When compared to the rest of the world, New Zealand’s country-wide commitment is quite extraordinary! In keeping with the traditions of respect for the local environment, the wine industry’s roots are also deeply embedded in sustainability. It wasn’t until the 1990s that New Zealand was gaining acclaim for their wine, and the growth of this industry only further highlighted the need to practice sustainable farming methods, as exports grew. The New Zealand Winegrowers’ Sustainability Policy maintains that wine must be made from 100% certified grapes in fully certified winemaking facilities. Additionally, the certification must be through an independently audited program either Sustainable Winegrowing New Zealand or another certification-either organic or biodynamic certification. While joining any of these programs is voluntary, to be included in New Zealand Winegrowers’ national and international marketing or promotional efforts, wines from vintage 2010 on must have been produced under one of the recognized sustainability programs. It’s no surprise that participation in these programs rose to almost 100% from the launch of the policy to 2012. 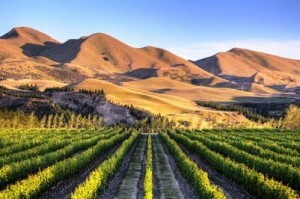 An estimated 94% or more of New Zealand’s producing vineyard area is now Sustainable Winegrowing New Zealand certified. Over the next few blog posts, we’ll review the New Zealand Pillars of Sustainability, and continue to explore what makes Sustainable Winegrowing New Zealand the benchmark for success in the wine industry.